The microarray is a very recent development in the field of biotechnology. Scientists are now able to understand the gene functions of any organism by tracking down thousands of genes and their products at the same time, with the help of this technology. It is believed that this is one of the greatest achievements in the field of science and will revolutionize and remold biology. The microarray has many applications and functions mainly in the field of medicine and related areas. In addition, it is not possible to limit its uses to the current applications. 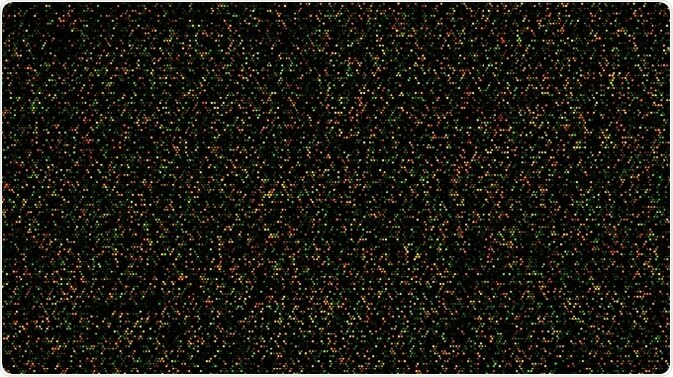 Scientists worldwide are involved in research on this topic, and there is hope for further developments to widen the applications of the microarray technique. The microarray is currently used in three broad areas: medical diagnosis and treatment, biotechnological and other researches, as well as crime and security. The use of microarray in the field of oncology is well known. Apart from this, it is used to study various cardiovascular, inflammatory, and infectious diseases, as well as psychiatric disorders. The discovery of target: in this application, the microarray is used to compare diseased tissues/cells with healthy tissues/cells to find the characteristics of a particular disease. This helps in finding the genes responsible for that disease. The discovery of drugs and leads: after the target has been discovered, microarrays can be used to screen potential compounds and identify the toxicity of the lead compound that will help in deciding proper medication for the patient. The study of antibodies, as well as microorganisms like bacteria and virus, also helps in the discovery of more effective antibiotics and vaccines. Diagnostics and prognostics: the microarray is widely used to know the state of disease, type of tumor and other factors important for the patient. As mentioned above, it is used to diagnose a number of diseases and infections, most notably cancer. Pharmacogenomics and theranostics: the microarray technique can be used to decide a patient’s treatment and therapy on the basis of his/her genetic makeup. Thus, it helps in carrying out personalized treatments than using generalized ones. It can also help in controlling side effects of medications. Microarray may aid in the identification of new genes, as well as in studying their function and expressions in different conditions. It includes the determination of the genetic sequence of all types of organisms such as human beings, mice, as well as microbes. It also helps in conducting studies in the field of agriculture; for example, it can be used for studies related to pest control. Furthermore, oligonucleotide microarray technology is used to analyze exposure of toxic occupational biomarkers. This helps in classifying toxins into different categories based on the responses of the biomarkers and study the risk factors in the environment. It can be used in understanding the catabolism of xenobiotics, which can enhance bioremediation processes with a direct impact on pollution control and environmental organization. With the use of species-specific arrays, scientists may also conduct studies on the evolution of different species. This helps in getting more information about genetic mutation and the idea of common ancestry. Microarray has a prominent role in detecting “Biological Warfare Agents” (BWAs): BWAs are microorganisms or toxins produced by them that are intentionally dispersed by terrorists to spread diseases in man and other organisms. The microarray provides a platform that provides fast, sensitive, and simultaneous identification of these agents. This is very much useful for national security and protection of life. Also, it is important in forensic analysis. SNP microarrays (a type of DNA microarray) are used in forensic analysis to get the details of DNA that will be helpful for investigation purposes. The recent discovery of the abundance of SNPs along with the ease of automation and miniaturization of the detection techniques paved the way for the implementation of microarray in forensic science. The greatest challenge in using this technology is its expense. Making microarray cost efficient by developing the related software and robotics technology further, can make it more reliable in any field, especially in dentistry. Enhancing reproducibility and reliability of the data accessed through this method can also boost the applications of the microarray. Combining DNA microarray with proteomics can help in understanding the way in which pathogens react in the microenvironment. Detailed study of these reactions can help in the identification of bacterial virulence factors, and aid in the design of new vaccines. This young technology has the potential to create opportunities for scientists to discover drugs at a faster rate. Further researches in this area can lead to the discovery of personalized medicines depending upon the genetic buildup of the patients.